Considering the weather and terrain conditions on the event date, it is advised to bring appropriate equipment from the list below. It is advised to bring additional clothes to change after the race. These will be kept under the watch of event staff and will be delivered at the finish point. Those suffering from respiratory tract and heart problems should not participate in the race. Always wear your sneakers with socks. For any health complications you may have during the race, quite the race and seek medical help from teams on the spot. Adequate training, endurance and health are essential for a successful run. The participants are liable for these conditions. Longest Night / Run or Ride starts on December 21th, 2019 Saturday night at Çekmeköy, Taşdelen forest organized by Uzunetap. Two races –either running or cycling- will be held simultaneously. The race comprises 4 different categories: 8K Run, 20K Run, Ultra Marathon 45K, Bicycle 30K. Races start Saturday evening, in December 21th, 2019. There are diverse start, finish and race track times for each category. It is required that participants arrive at the start point at 18.00 p.m. – 20.00 p.m. in order to complete the registration, equipment check and final preparations. IMPORTANT: Final day for registrations is December 20, 2019. No registration or category change is made on the event day. • 8K Run, 20K Run and Bicycle 30K check points provides only adequate water and snack (biscuits). Ultra Marathon 45K athletes get access to food (soup, fruit, and chips) as well as water at one check point. • It is advised the water is consumed in intervals for efficiency and health matters. Therefore the water tanks can be preferred considering the benefits of having the hands free. • The participants must be 18 years old or older. Younger participants are allowed when accompanied by a (participant) parent. Participants under 18 years old must fill the parental consent form linked, must have them signed by their legal parents and fax it to the organization. It is necessary to bring and deliver the original copy of the form to the organization in the race day. • It is mandatory for the participants to fill in the form in the registration section and deposit the participation fee for the related category. Race numbers which are mandatory to wear during the race are delivered on the registration desk at the start point on the day of the race. • Organization team and the referees have the right to disqualify the participant at any point during the race in case a risky health situation is detected. • The participants are checked before the race for requisite equipment and in the absence of these equipment, athletes are declined their right to participate the race. • The participation fee is nonrefundable in case of absence of the requisite equipment, violation of any of the rules above and disqualification by the referees on any ground. 8K Run, 20K Run and Bicycle 30K check points provides only adequate water and snack (biscuits). Ultra Marathon 45K athletes get access to food (soup, fruit, and chips) as well as water at one check point. It is advised the water is consumed in intervals for efficiency and health matters. Therefore the water tanks can be preferred considering the benefits of having the hands free. The participants must be 18 years old or older. Younger participants are allowed when accompanied by a (participant) parent. Participants under 18 years old must fill the parental consent form linked, must have them signed by their legal parents and fax it to the organization. It is necessary to bring and deliver the original copy of the form to the organization in the race day. It is mandatory for the participants to fill in the form in the registration section and deposit the participation fee for the related category. Race numbers which are mandatory to wear during the race are delivered on the registration desk at the start point on the day of the race. Organization team and the referees have the right to disqualify the participant at any point during the race in case a risky health situation is detected. The participants are checked before the race for requisite equipment and in the absence of these equipment, athletes are declined their right to participate the race. The participation fee is nonrefundable in case of absence of the requisite equipment, violation of any of the rules above and disqualification by the referees on any ground. Her kategorinin yarış başlangıç ve bitiş Time scoreleri farklıdır. Bu nedenle her kategorinin kapanış Time scoresi sonunda o kategoriye ait ödül töreni yapılacaktır. Derecelendirme her kategoride "KADINLAR ve ERKEKLER" için ayrı ayrı yapılacaktır. Yaş grubu ve genel klasman için derecelendirme yapılmayacaktır. Yarışmayı tamamlayan tüm sporculara başarı madalyası verilecektir. Dereceye girenlere koşu sonrası düzenlenecek törende ödül olarak kupa verilecektir. Ayrıca dereceye giren yarışmacılara ödül olarak, 2017’ de düzenlecek Uzunetap etkinliklerinden biri için katılım ve özel indirim fırsatları verilecektir. Derecelere ve kategorilere göre belirlenen ödüller aşağıda listelenmiştir. * Ödüller 2017 yılında düzenlenecek Uzunetap etkinlikleri için geçerlidir. Ödül alan yarışmacıların, ilgili yarışın kayıt aşamasında tercih ettikleri yarışı ve ödül belgelerini kayıtla ilgili yetkililere ibraz etmesi gereklidir. Taşdelen Forest: Situated in Çekmeköy district on the Anatolian side, Taşdelen Forest is one of the oxygen depots of İstanbul. The forest consists of pine, oak, beech and fir trees. It is named after the Taşdelen streamlet which pours affluently through several fountains in the forest. Occasional pathways and steep descending and ascending roads in the dense forest make the racecourse. Considering the seasonal conditions, it is best to be prepared for slippery and muddy terrain. 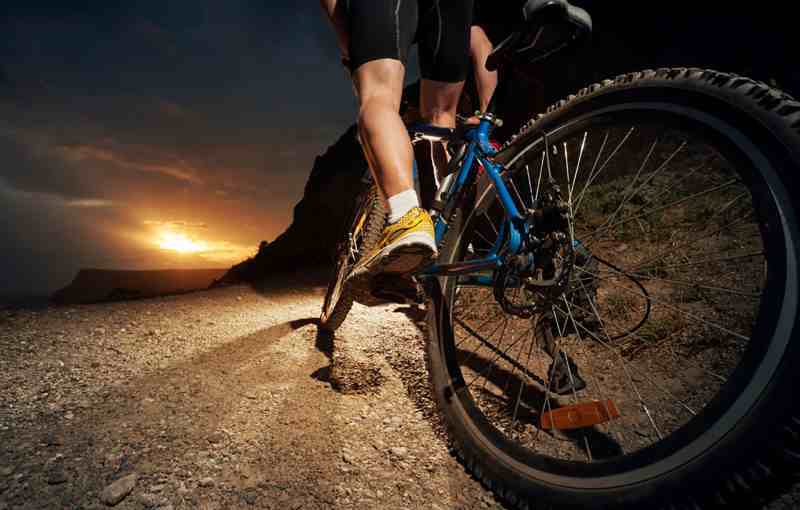 The of 30K Bicycle track is suitable only for mountain bikes (MTB). (Cyclocross bicycles are inadvisable). The racecourse has technical descending and ascending, mud passing and steep climbs. Cyclists may need to carry the bicycle at certain points on course. The start point for the race is Taşdelen recreation area. The foreseen route for each category of the race is shown on the map below. Event organization holds the right to change the race track according to the weather and terrain conditions on the race day. General information about the race track and notecards covering important details about the road will be delivered before the race at the start point. Click to view via Google maps. The race track is completely marked at every 100 meters with high visibility tapes. Plates and signs showing the return path are available at the turning points. There are several sideways and forest pathways on the race track. The athletes must follow the marked courses and not take any of the sideways. Dense marking is ensured especially at areas with too many sideways and many paths will be closed with security tapes. * Paralympic category registrations are free. • Cancellation made before 01.06.2019 will incur a 20% charge. • Cancellation made between 01.06.2019 - 01.11.2019 will incur a 30% charge. • No REFUND will be made for the cancellation made after 01.11.2019. • Registration to the organization is deemed to have been made by payment of the participation fee of the relevant category. • Registration is only completed after the payment is made. • Participants have to present the mandatory equipment in order to collect the bib numbers. • Registration fees or chest numbers cannot be transferred to another athlete. * A fee with a lower participation fee will not be charged for a pass. * A charge difference is added to a categorization with a higher participation fee. The registration will be closed in December 20nd. Changes / transitions between categories cannot be performed after the registration is closed. It is mandatory for the participants to fill in the form in the registration section and deposit the participation fee indicating the related category. Participation form must be fully completed. Registrations close at 23:59 on Friday, 20 December, 2019. No registrations can be received over the system after the deadline. Enrollment is not available on the race site. The registered participants are responsible for themselves. The registration fee is not refunded in case of failure to participate. The races are held regardless of the number of participants of each category unless the organization announces the cancellation of any category. No refund is paid in case of low participation. Each participant is expected to carry the following during the race. The participants are checked before the race for requisite equipment and in the absence of these equipment, athletes are declined their right to participate the race. • It is required that you carry your cell phone switched on during the race. You can contact the staff via the telephone directory that will be delivered before the race. »» Technical assistance is not available for the bicycles. It is participant's responsibility to have required equipment. It is advised to bring spare clothes for changing after the race. Such equipment will be taken care of during the race and will be handed to owners at the finish point. The district is 1 km. away from Taşdelen center which can be reached via Üsküdar-ŞİLE TEM highway. Public transport is also available to Taşdelen center. Çekmeköy Municipality will be providing 2 separate shuttles at 16:30 and 17:00 from Kadıköy to race start point. Public transport: Athletes can take 'Alemdağ-Taşdelen' public bus line from Kadıköy, Üsküdar, Mecidiyeköy, Topkapı, Beşiktaş or Ümraniye and get off at Taşdelen central bus stop. Passing Kardiyum Shopping Center, they can follow the 'Taşdelen Mesire Yeri' sign and turn left. Taşdelen Mesire Yeri (recreational area) is 500 m. from the sign. Private transport: Athletes coming from European side via 1st or 2nd bridge can take the Çekmeköy-ŞİLE exit, follow the ŞİLE highway and reach Taşdelen entrance. Before taking the underground tunnel after the 'Sancaktepe-Sarıgazi-Taşdelen' sign, athletes should take the side road on the right and turn left on the roundabout over the tunnel to reach TAŞDELEN city center. Straight ahead is Kardiyum Shopping Center on the left side of the road. Passing the shopping center, they can follow the 'TaşdelenMesireYeri' sign and turn left. Taşdelen Mesire Yeri (recreational area) is 500 m. from the sign. There will be 2 different shuttles for the return transfers to Kadıköy, for 00:00 a.m. and 02:00 a.m. at night. Announcements will be made on spot for shuttle departures. 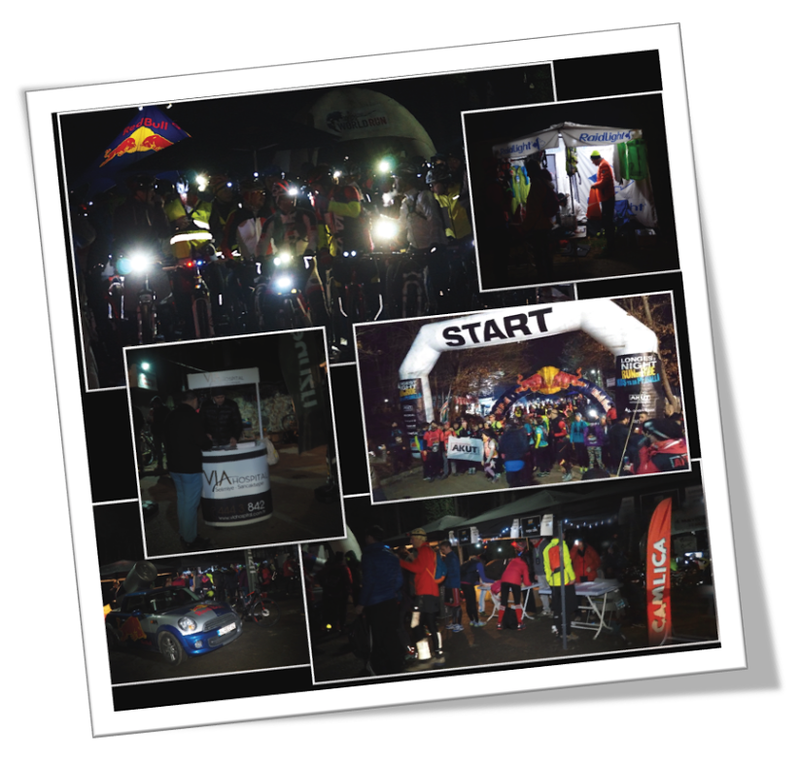 Longest Night / Run or Ride, the first and most entertaining night race of Turkey, provides the brands many display areas for the best visibility and interaction with hundreds of sports enthusiasts from amateurs to professionals. On December 21, 2019 the event grounds will be enlivened with races in various disciplines, concerts and fun social activities all through the day. Here, you can promote your products and brands at the booths. You can also provide an influential international and local media visibility through sponsorships. Contact us to set up a booth, collaborate and sponsorships at Longest Night / Run or Ride! The start and finish times for each category are different. So that the award ceremonies will be made after the finish time of related category.